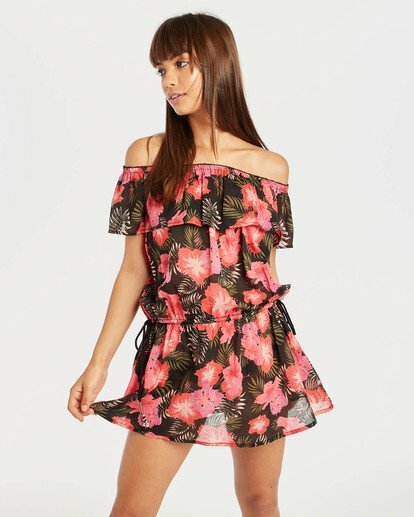 Get flouncy in feminine frills and a cheeky mini dress. 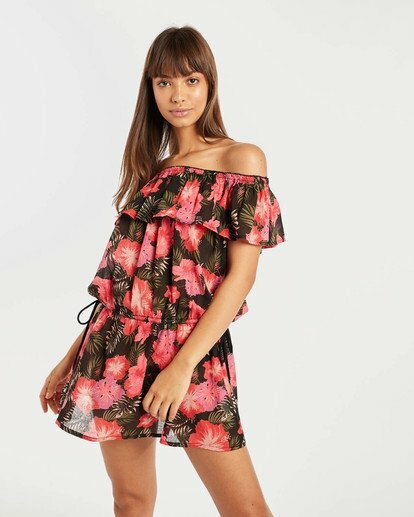 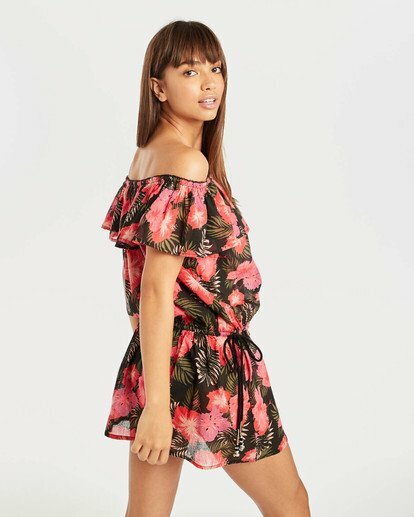 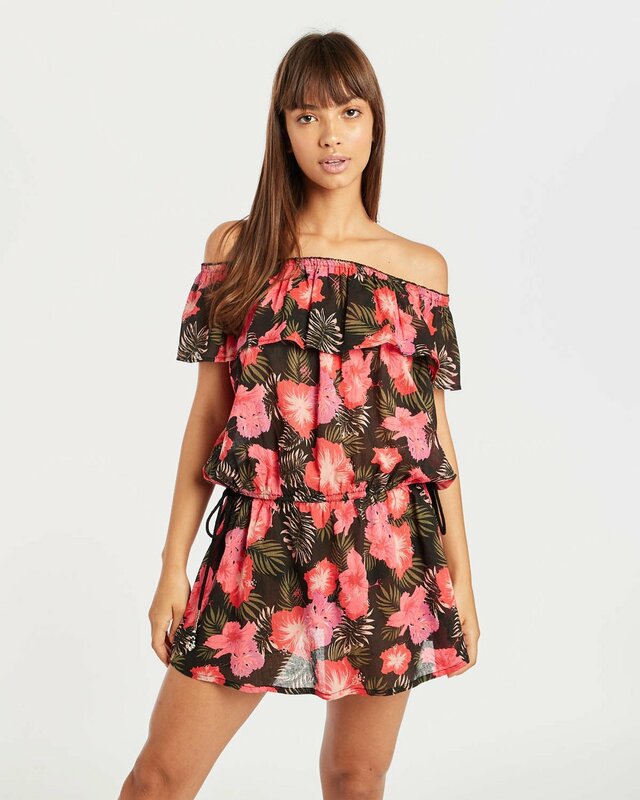 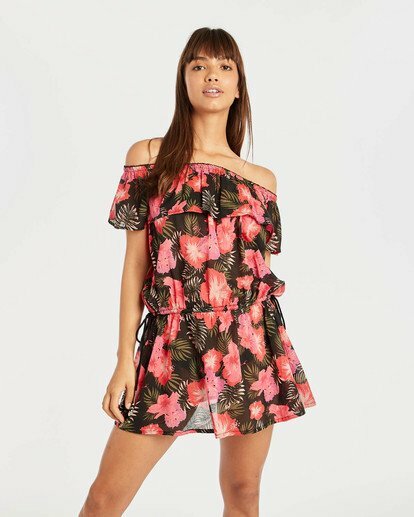 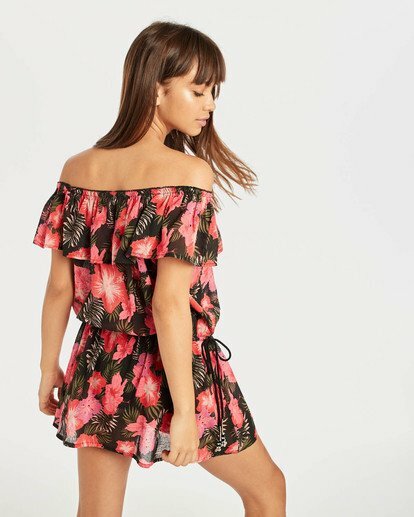 The Cool Summer dress sits off the shoulder with a flirty ruffle neckline. 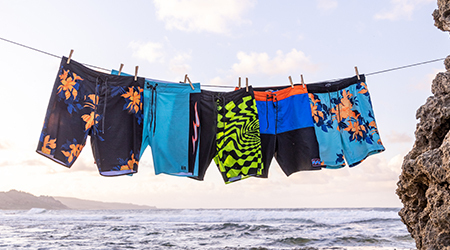 Give it some shape with an elasticated waist featuring adjustable drawcords with pearl detail, all in a deliciously dark floral print.